The American Kestrel is a bird that until recently was not truly considered a falconry bird, and even to this day some would argue it doesn't make a good one. However is a building "fan base" for the American Kestrel and it's use in modern falconry. The Kestrel is a small falcon that flies with tendencies more similar to the accipiter family than their "cousin" in the small longwing family the merlin. They are often flown in as many different methods as their are falconers, but the common trait is the flights are set up to be short and the flush is then produced. They are rarely successfully flown in a more traditional long wing style. 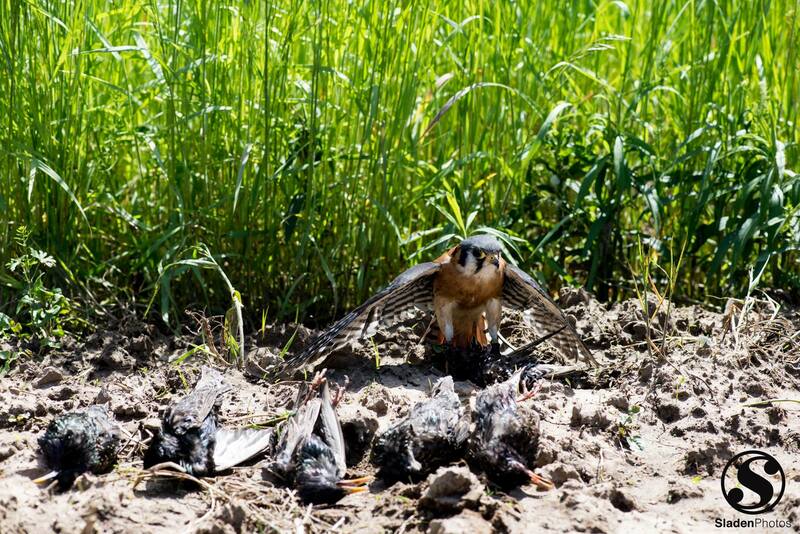 One of the hardest parts of using the American Kestrel as a falconry bird is their tendency to chase insects and other non quarry species. 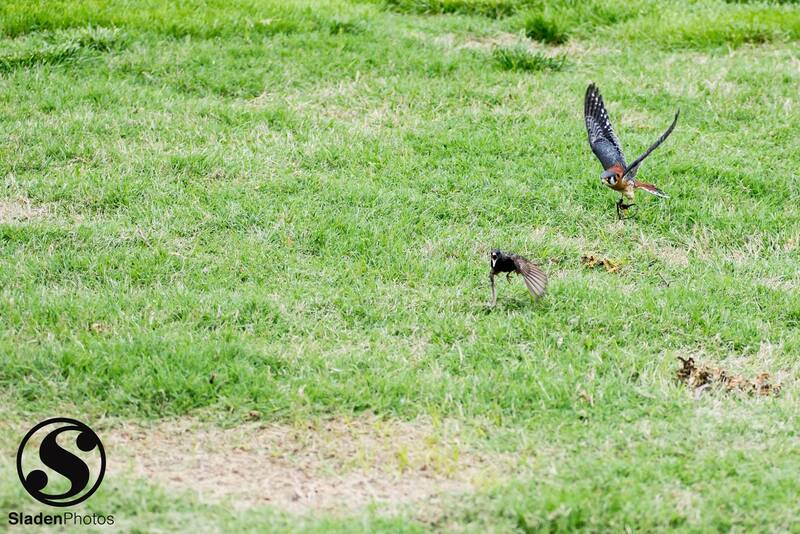 It's not uncommon to have the perfect sparrow or starling slip ruined by a dragonfly buzzing in a nearby field. However, once wed to their quarry they become predictable and successful falconry birds. Adjacent you will see a two part series of Tyler Sladen imprint, Debow, in mid chase of a starling. In the birds first year Debow was often "car-hawked". The Kestrel is almost exclusively flown on sparrow and starling with little other quarry being viable for their flight style. An added benefit of flying birds like the kestrel and merlin is that even in states with no Sunday hunting all that I know of permit the take of invasive species. This opens up another falconry day if you live in a state like that. One thing that often attracts falconers again and again to the Kestrel is their demeanor after being manned down. They often calm down to the point of being able to be free at most interactions with the falconer. They also quickly become a favorite of the rest of the family with their quirky actions and endearing personality. 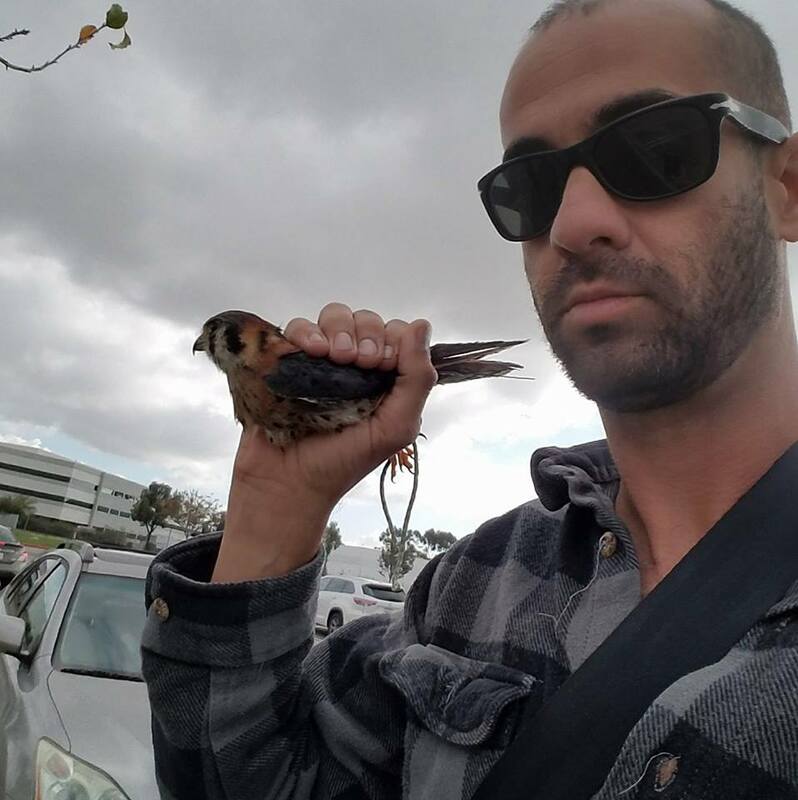 David Feliciano trained his male kestrel to fly by being tossed towards the intended quarry. This method is common in other parts of the world with falconers who fly sparrow hawks on migrating quail. He's found an adaptable use for it by flying his kestrel in tight urban environments as well as a way to sneak up on unsuspecting quarry in areas like horse farms. 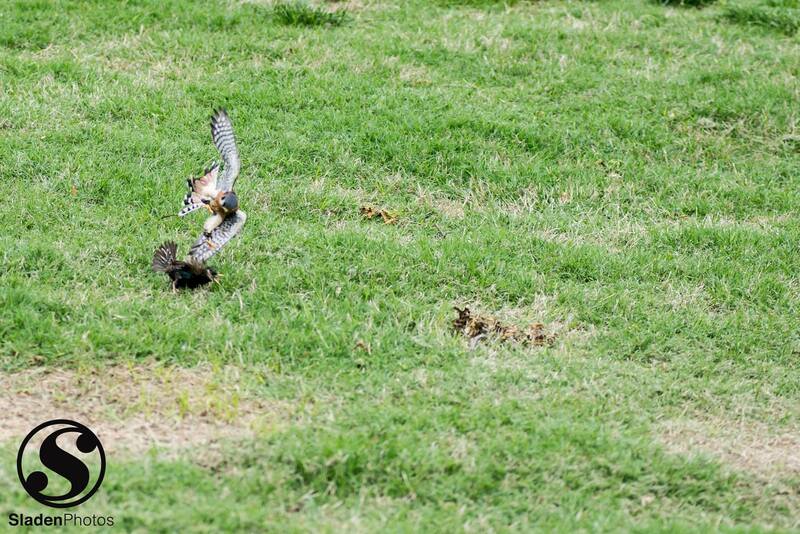 The American Kestrel - Matthew Mullenix is probably the single most valued resource for flying the American Kestrel. It's a book that I feel very few folks that have hunted with the kestrel would find much to disagree about. If you are considering flying a kestrel it's a must have book in your library. There are little other resources that are 100% focused on the American Kestrel, but articles about them can be found regularly in the publications and subsections in books like the NAFHH compendium.